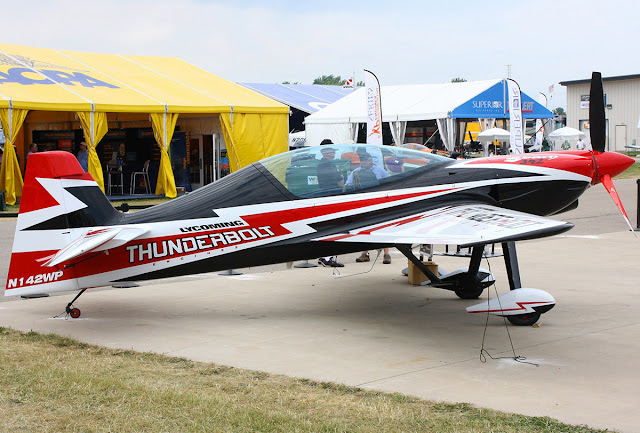 So, after I destroyed my home made 1m supercharged Ugly Stick I decided two things: I love supercharged planes and that I needed another one in the same class. 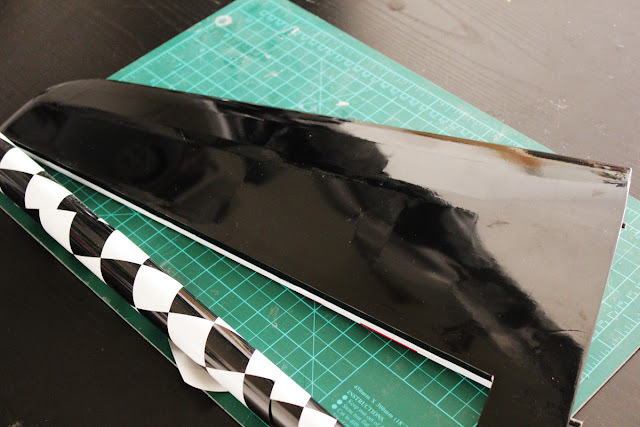 So I started revisiting the plans of the Stick to correct the causes of the fatal crash (fuse wasn't rigid enough and the wing wasn't attached solidly enough to withstand the crazy power of the motor) and soon I'll build the Stick v2. 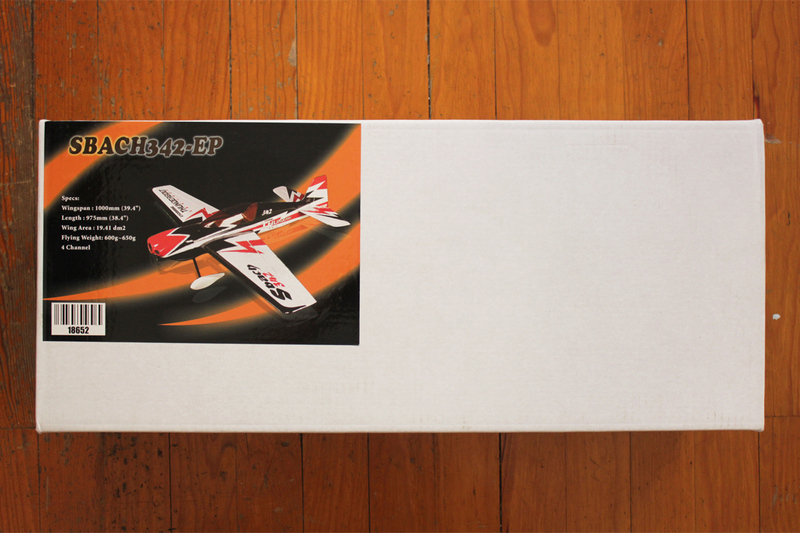 In the meantime I purchased this plane. She is so gorgeous I couldn't resist. And I found an offer too so it really didn't take long before I became the proud owner of one. that more torque is welcome to pull out of high speed dives. Today I slowly started the build, I am modyfing things here and there taking into account what I read on this very interesting article from Ken Schroeter's blog. I am dividing the build in multiple articles so I can focus more on some details without making the log impossibly long. I am starting with the wings, so here we go. The box she came in. As mentioned everywhere on the world wide web, the image represents the flawed v1, but the code "18652" is used to identify v2. All the contents were very well packed and arrived without a single scratch. VERY happy here. 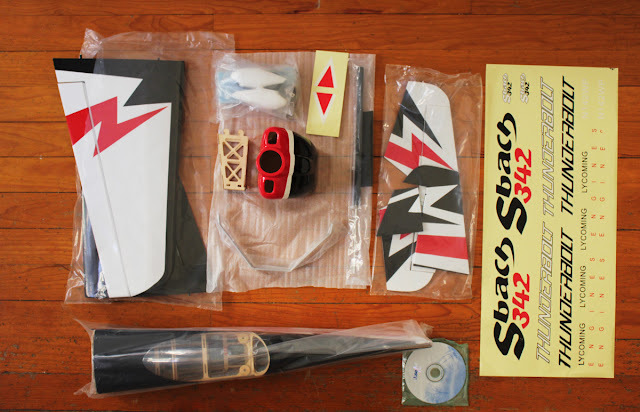 From top left: wings came in one single bag; motor mount, fiberglass cowl and hardware are taped individually inside the box; tail components; stickers sheet, which for once came without creases and folds; fuselage; and instruction dvd. 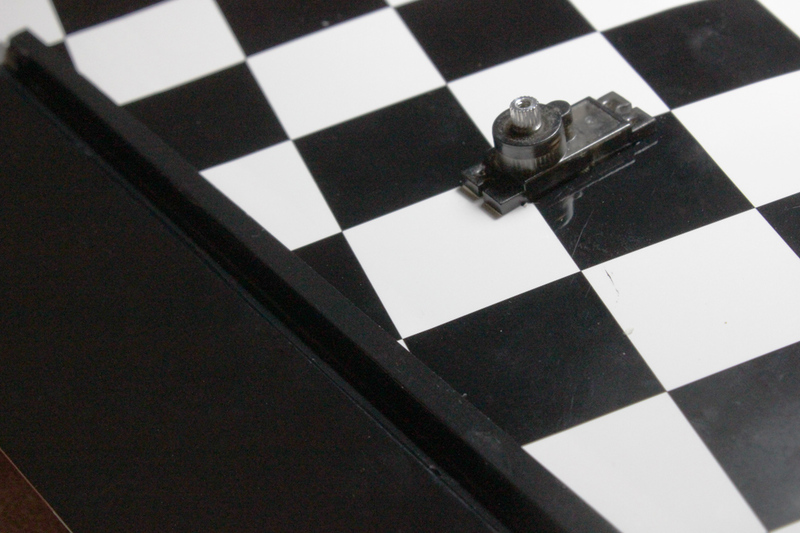 For the wings I wanted to increase visibility of the bottom side so I decided to remove the original black monokote (or whatever cover that is) in favour of a checkered pattern I already used on my now dead Stick. The wings are really well made, the cote is tight and well trimmed. They are mainly built up using light laser cut 2 and 3mm ply, with balsa struts and they are very light: I weighted one at 85 grams. Also, they are detachable for transport, which is a huge plus! 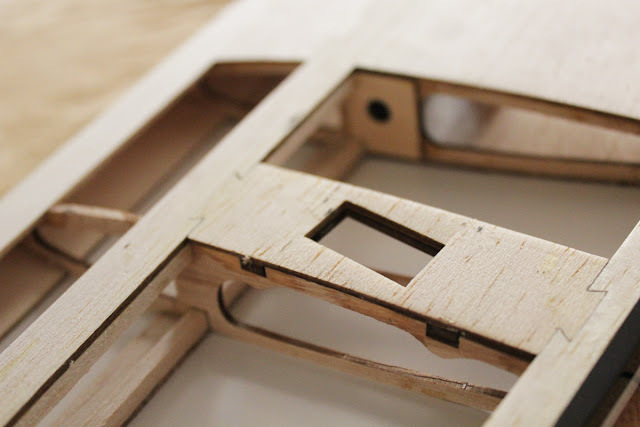 The aileron servo housing is made of a 1,5mm balsa sheet, doubled for strength. 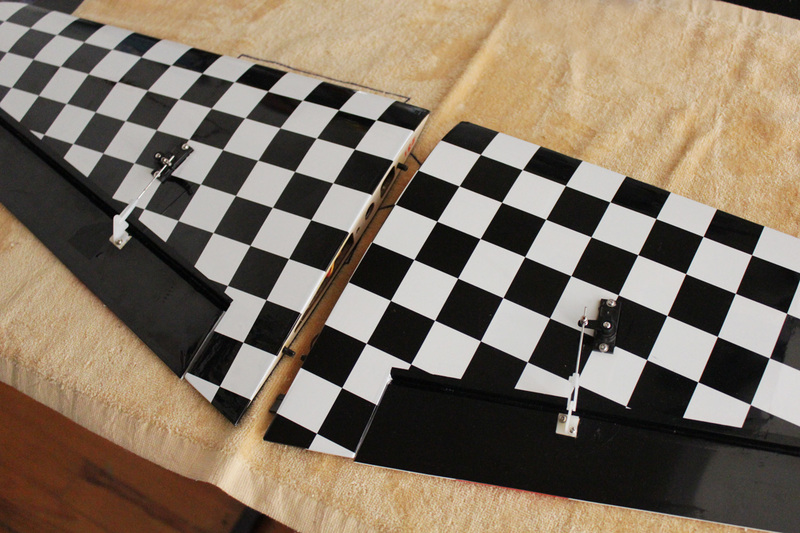 Nice pattern for the various parts to join like a puzzle and form the sheeted part of the wing. 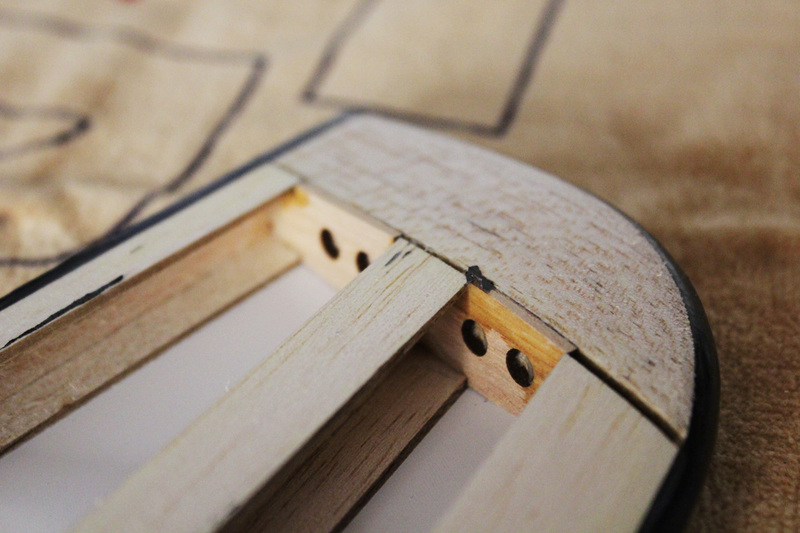 It seems that on the v2 some effort has been made to lighten up this plane, all the ply parts are drilled. Wingtip is solid balsa. Covering has started. I aligned the checkered pattern to the leading edge. Note I am working on a towel not to scratch the upper skin of the wing. 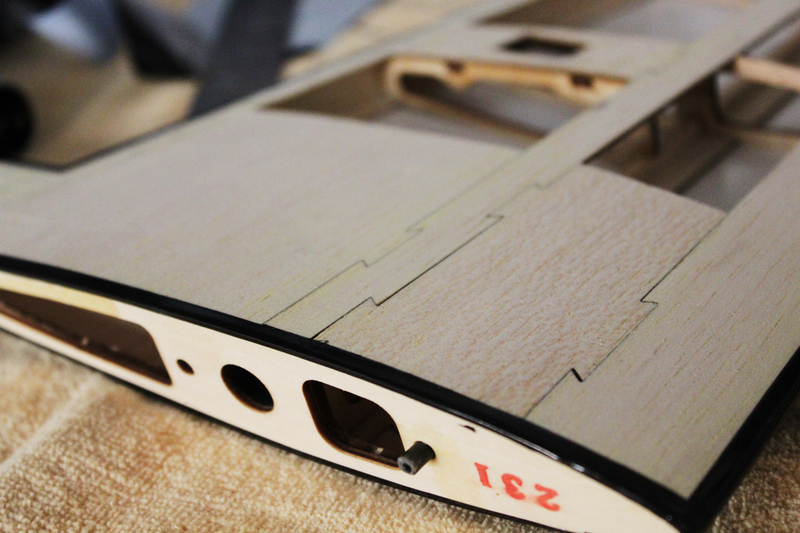 Skin applied and aileron installed. 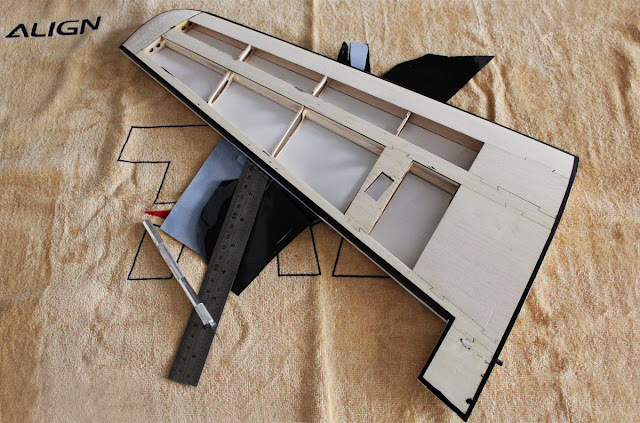 There are 4 CA hinges for each aileron, which is plenty for this size of airplane. 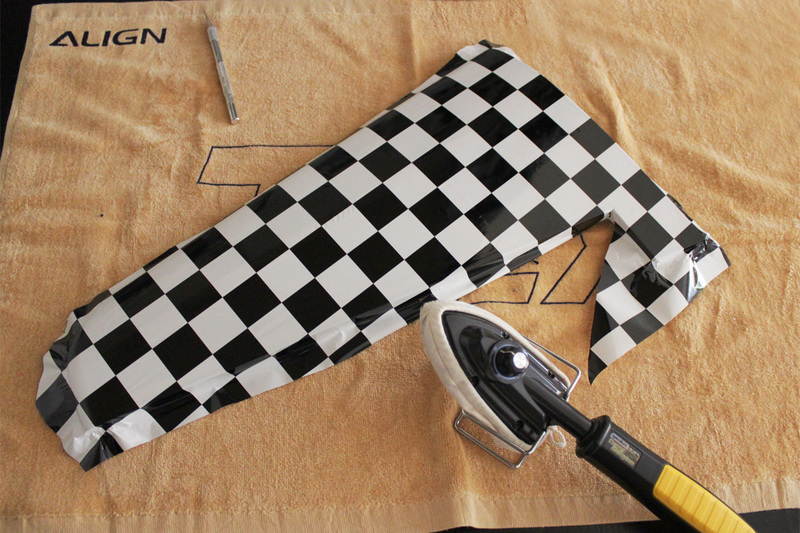 Here I cut a X in the wing skin where with my finger I could feel the housing for the servo and then installed it. 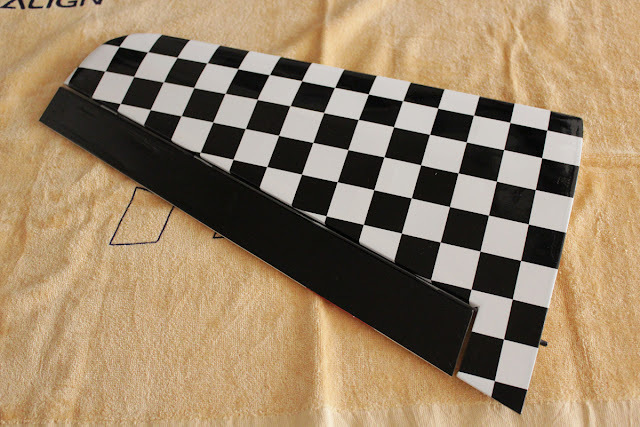 To remove any flutter I also applied some tape all along the junction between the aileron and the wing, in order to seal the cut. All in all the wings are well built and did not present any problem. The only thing I had to do (beside re covering them, of course) was to re glue the 4 mm carbon rods that work as a guide to install the wings. There are two per wing and they were quite loose. Here's the second part of the build!